Pinnacle is a pretty fitting product to open up after last week's Donruss break. The two products are very similar and both can be found for very little money nowadays. Pinnacle blasters come with a hit as well as some fun insert cards. It's a nice break for just about any occasion! One of my favorite things about this product is its packaging. The yellow and black box really stands out on the shelf. In fact, the hobby version of Pinnacle came in a very odd shaped box. Panini definitely has a knack for packaging. If only the cards were as unique! 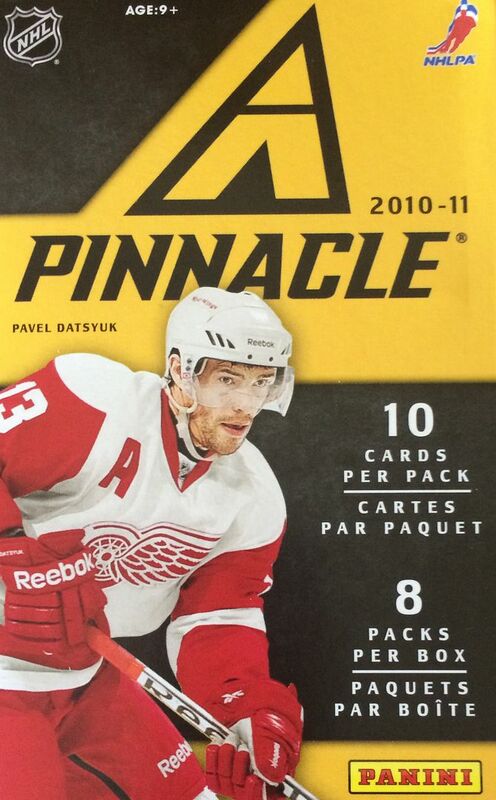 I really think Pinnacle was meant to compete with Upper Deck Series One and Two, but when you compare the products there was really no comparison. Upper Deck was superior in just about every way. That's really too bad because Pinnacle used to be one of the sharpest and best brands in the market back in the 90's. This break went pretty much as expected. There were a hit and some inserts along with a big bunch of base cards. I was a little surprised when I pulled the Artist Proof parallel insert card though. For some reason I thought those were only inserted into hobby boxes. In early Pinnacle baseball sets the Artists Proofs came only one per box and had some pretty high values associated with them. Like Upper Deck Series One, this set features some unique photography. If you haven't had the chance to open up some Pinnacle before I'd definitely suggest it for the photos alone. There's some really good stuff here! 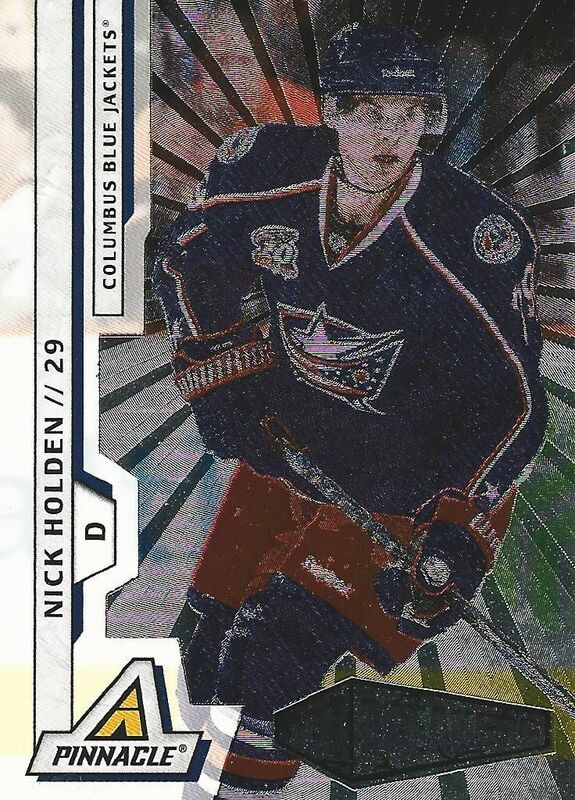 Holden is not a big name player to get in your packs, but I do like the fact that I got the Dufex version of an Ice Breaker rookie card. The Dufex process looks great on the card and gives the Ice Breaker rookies some much needed flashiness. 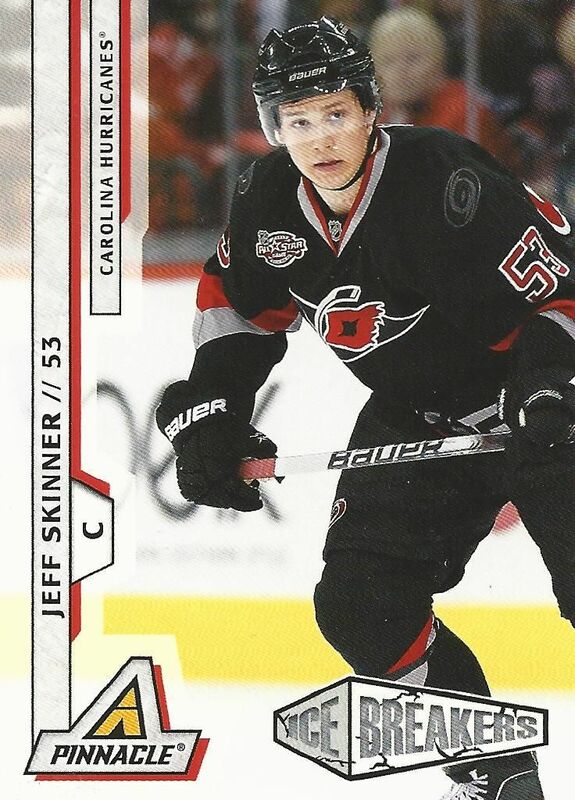 Skinner was one of the most popular rookies back in 2010. I remember him competing with Logan Couture for the Calder. 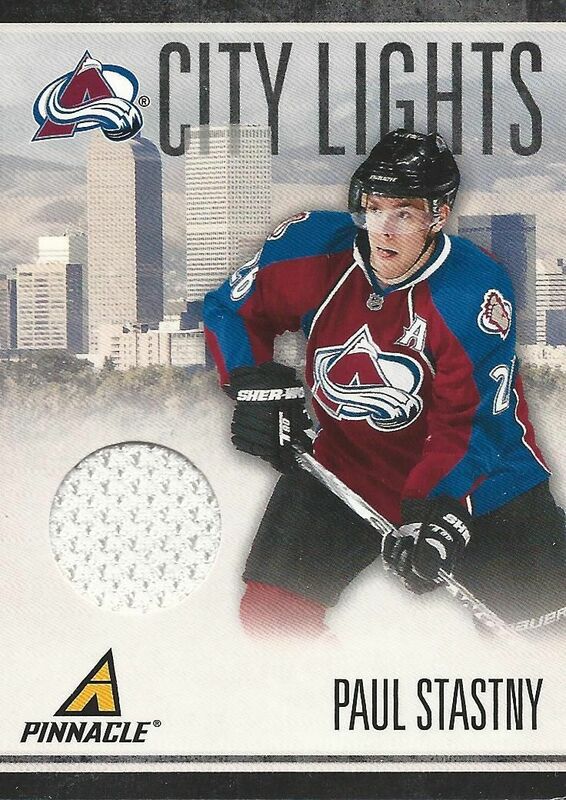 Getting his cards was definitely on the minds of collectors back in 2010. The City Lights jersey set is one of the nicest you'll find when it comes to lower end products. It has always been a favorite of mine to show the horizon of the city the player plays in. For about ten bucks you really can't beat these little blasters. There is a decent amount of packs to open and enjoy, and you're guaranteed to get a hit. Pinnacle is definitely worth of purchase if you can find it at this price point. It's a lot of fun for not a lot of money. I remember breaking a few packs of pinnacle that year and wasn't too impressed, first off by the base card design, which was lacking the "it factor" and second off that there is near nothing on the back. Just a repeated picture of what was on the front and a little description with no stats.